High temperature sensor working principle - SILVER AUTOMATION INSTRUMENTS LTD. The temperature sensor is that the temperature is converted into a usable output letter by using the physical properties of the material with the change of temperature Number. Temperature sensor is the core part of temperature measurement instrument, which has various types. According to the characteristics of sensor materials and electronic components, thermal resistance and thermocouple are divided into two categories: contact type and non-contact type. 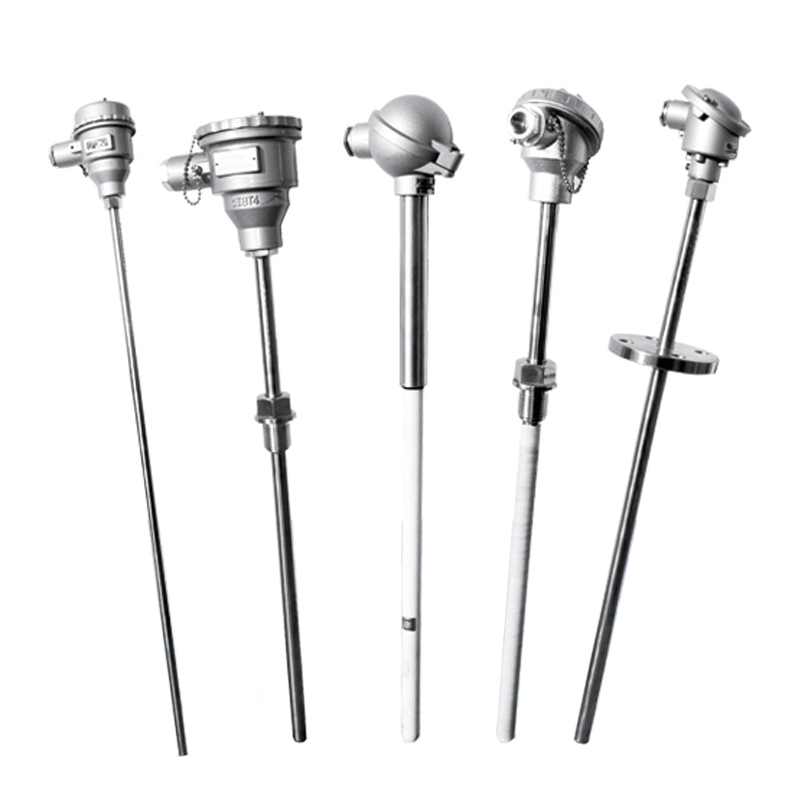 The modern temperature sensor is very small in shape so that it can be widely used in various fields of production practice, which also provides countless convenience and functions for our life. There are four main types of temperature sensor: thermocouple, thermistor, resistance temperature detector (RTD) and IC temperature sensor. The IC temperature sensor has two types of: output and digital output. Next, let's talk about how these kinds of temperature sensors work. If you are interested in learning more, let’s go! The combination of two different conductors or semiconductors is called a thermocouple. Thermoelectric potential EAB (T, T0) is synthesized by contact potential and thermoelectric potential. Contact potential refers to the electric potential generated by two different conductors or semiconductors in contact, which is related to the properties of two conductors or semiconductors and the temperature of the contact points. When there are two different conductors and semiconductors A and B from A loop, its both ends are connected, as long as the temperature of the two nodes is different, the end temperature of T, referred TO as the working end or hot end, the other end of the temperature of the TO, known as the free end, produced in the loop current, which exist in the loop of electromotive force is called heat. This phenomenon of electromotive force due to different temperatures is called the sebeck effect. In nature, when the object's temperature above absolute zero, because of its internal thermal motion, will keep on around the radiation of electromagnetic wave, which includes a band in 0.75 ~ 100 microns infrared, infrared temperature sensor is made use of this principle. Smtir9901/02 is a widely used infrared sensor in the market, which is based on a silicon based infrared sensor based on thermopile. Lots of thermocouples piled up on the underlying silicon, the high temperature on the bottom junction and low temperature contact by a very thin layer of membrane separation for their heat and high-temperature black absorption layer above the contact will be the incidence of radiation into heat energy, the thermoelectric effect shows that the output voltage proportional to the radiation is, thermopile is usually used BiSb and NiCr as a thermocouple. AD590 is a type of temperature sensor output current, power supply voltage range of 3 ~ 30 v, output power 223 mu to 423 mu, sensitivity to 1 mu A / ℃. When the sampling resistance R is connected in the circuit, the voltage at both ends of the R can be used as the output voltage. The resistance of R is not too large to ensure that the voltage of the AD590 is not less than 3V. AD590 output current signal transmission distance can reach more than 1km. As a kind of high impedance current source, up to 20 m Ω, so it need not consider choosing switch or introduced by CMOS multiplexer additional resistance caused by the error. It is suitable for multi-point temperature measurement and remote temperature measurement. Temperature sensor high temperatures adopt the digital temperature sensor produced by silicon process, which adopts PTAT structure, which has the precision and temperature related good output characteristics. The output of PTAT is made into a digital signal by means of the comparator, and the relationship between the air ratio and temperature is as follows: DC = 0.32 + 0.0047 * t, t is Celsius. The output digital signal is compatible with the microprocessor MCU, and can be calculated by the high frequency sampling of the processor, which can obtain the air ratio of the output voltage square wave signal. The temperature sensor is superior to 0.005 K due to its special technology. Measuring temperature range - 45 to 130 ℃, so it is widely used in high precision.